The organ donor can be anyone of which the organ can be transplanted to the patient urgently requires. 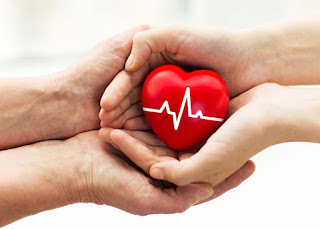 The organ donated by the normal human being is saved properly to transplant into the patient whenever he or she require. One can get the new life through the organ transplantation donated by someone. The Cabinet had in 2013 given its approval to the proposal for setting up of the university. 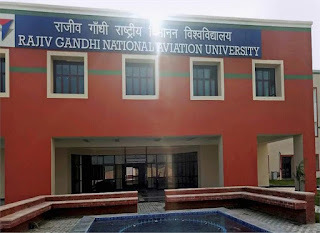 The Rajiv Gandhi National Aviation University Bill, 2013 had received the assent of the President of India and published in the Gazette of India on September 19, 2013. 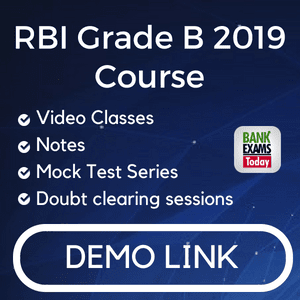 About 26.35 acres of land available with the Indira Gandhi Rashtriya Uran Akademi, an autonomous flying training institute under the central government, was identified for setting up of the RGNAU in its first phase (2013-14 to 2018- 19). Fursatganj lies at the border of Rae Bareli and Amethi. In line with its objective of promoting aviation teaching and training, RGNAU has signed an MoU with GMR Aviation Academy for Joint PG Diploma in Aviation/ Airport Operations which is an employability oriented program focused at providing trained manpower to the industry, officials said. The university is also planning to launch MBA programme in aviation management in near future, they said, adding RGNAU shall also be affiliating colleges/ institutes for BSc (Hons.) in aircraft maintenance. 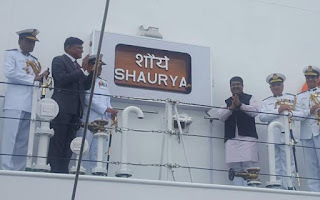 Indian Coast Guard ship “Shaurya”, the fifth in the series of six 105-metre offshore patrol vessels (OPVs) commissioned in Goa by Union Minister for Petroleum and Natural Gas Dharmendra Pradhan. The OPV, which draws 2,350 tonne and is propelled by 9100 kilowatt diesel engine, has been designed and built indigenously by Goa Shipyard Ltd and is fitted with state-of-the-art navigation and communication equipment, sensors and machineries. The ship will be based at Chennai and operate under the operational and administrative control of Commander Coast Guard Region (East) and will be deployed extensively for Exclusive Economic Zone surveillance, apart from safeguarding India’s maritime interests. 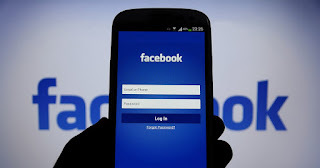 Chief minister Naveen Patnaik launched 'She Means Business' programme of Facebook for women entrepreneurs in Odisha. Under the scheme 25, 000 women entrepreneurs and self-help group (SHG) members will be given training on digital marketing skills within next one year. Odisha government's partnership with Facebook aimed to reduce the digital divide and empower nearly 25,000 women entrepreneurs and SHGs. Union Environment, Forest and Climate Change Minister, Dr. Harsh Vardhan, launched ‘Gaj Yatra’ here today, a nationwide campaign to protect elephants on the occasion of World Elephant Day. The campaign is planned to cover 12 elephant range states. World Elephant Day is an annual global event celebrated across the world on August 12, dedicated to the preservation and protection of elephants. The goal of World Elephant Day is to create awareness about the plight of elephants and to share knowledge and positive solutions for the better care and management of captive and wild elephants. African elephants are listed as “vulnerable” and Asian elephants as “endangered” in the IUCN Red List of threatened species. As per the available population estimates, there are about 400,000 African elephants and 40,000 Asian elephants. In the midst of evolving security situation in the region, India and Russia will hold a mega war game in October involving their armies, navies and the air forces for the first time to further ramp up military ties. The armies, navies and air forces of Russia are holding bilateral exercises separately but this is for the first time, both the countries will carry out a tri-services exercise. Russia has been a long-standing defence partner of India and both the countries are now eyeing to further deepen the ties. Kenya's President Uhuru Kenyatta has been re-elected following Tuesday's election, officials say. Mr Kenyatta, in office since 2013, took 54.3% of votes, ahead of his rival Raila Odinga, with 44.7%. However, it has been endorsed by international observers. 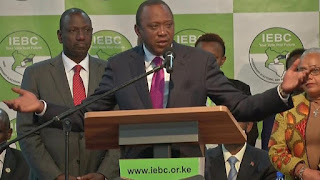 Mr Kenyatta said they had ensured a "free, fair and credible election". It was made sweeter when she led her country to the team silver alongside compatriots Rashmmi Rathore and Saniya Sheikh. The trio shot a total of 190, finishing behind Gold medallists China, who shot 195. Hosts Kazakhstan won the bronze shooting 185. 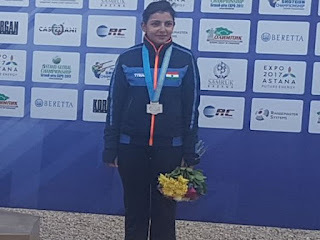 India’s day was all about Maheshwari though, when she shot 68 out of 75 earlier in the day to finish on top of the qualification pile of 22-shooters. It was a quality top six in the final rounds having the likes of Olympic finalists and World Cup Gold medallists Meng Wei of China and Sutiya Jiewchaloemmit of Thailand among others. Meng is currently ranked four in the world while Sutiya is ranked fifth. Reputations held as Maheshwari bowed out in third place on a score of 40 while China’s Meng won gold shooting 55 and Sutiya claimed silver finishing a point behind Meng. 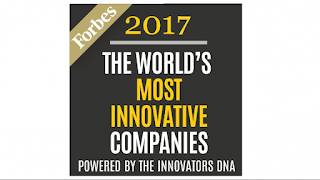 Three Indian firms -- Hindustan Unilever, Asian Paints and Bharti Airtel -- are among Forbes' list of the world's 100 most innovative companies, where Salesforce.com has replaced Tesla Motors on the top position. While HUL and Asian Paints have moved up in their ranks to seventh and eighth respectively (from 31st and 18th last year), Bharti Airtel has entered the ranking at 78th position. Tata Consultancy Services (TCS), Sun Pharma and Larsen & Toubro were also on the 2016 list but they failed to make the cut this year, bringing down the total number of Indian firms from five to three. The annual 'World's Most Innovative Companies' are the ones that investors expect to be innovative now and in the future. Besides, to be included in the list, firms need seven years of public financial data and $ 10 billion in market cap. 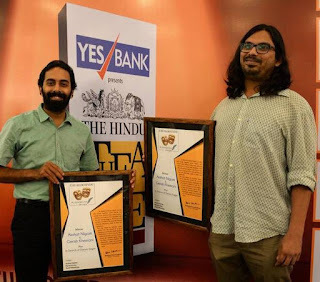 The other shortlisted works included Deepika Arwind's ‘The Playwright is Dead’ and K. Madavane's ‘1947 - The Man from Lahore’, chosen by a panel of three judges from among the 183 entries received. 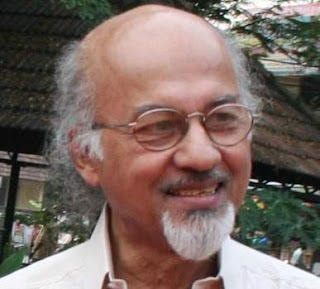 The award comprises a purse of Rs 50,000, citation and a statuette designed by renowned artist Bhatathiri. 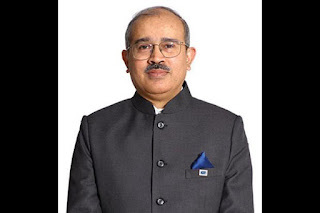 David Rasquinha was appointed as Managing Director of Export-Import Bank of India (Exim Bank). 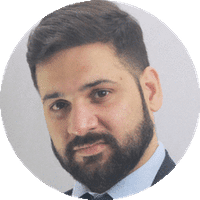 Rasquinha is at present Deputy Managing Director of the Exim Bank.